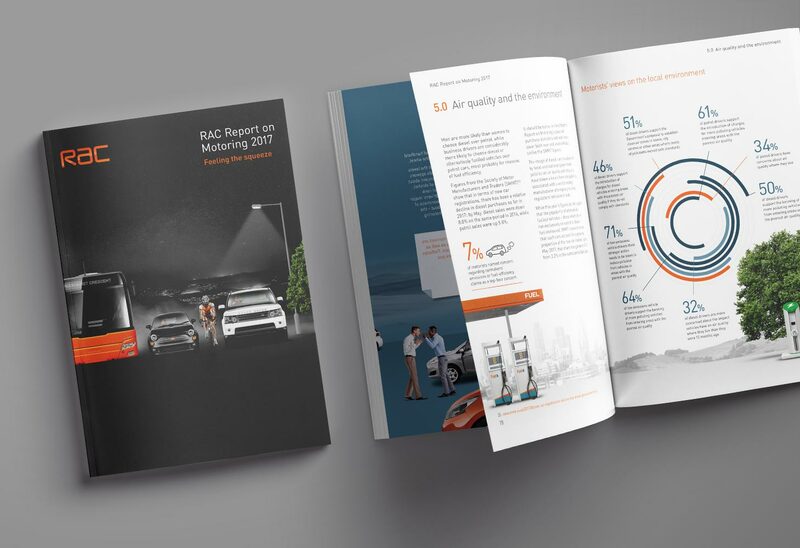 The RAC has just launched its 2017 Report on Motoring designed by Milestone. 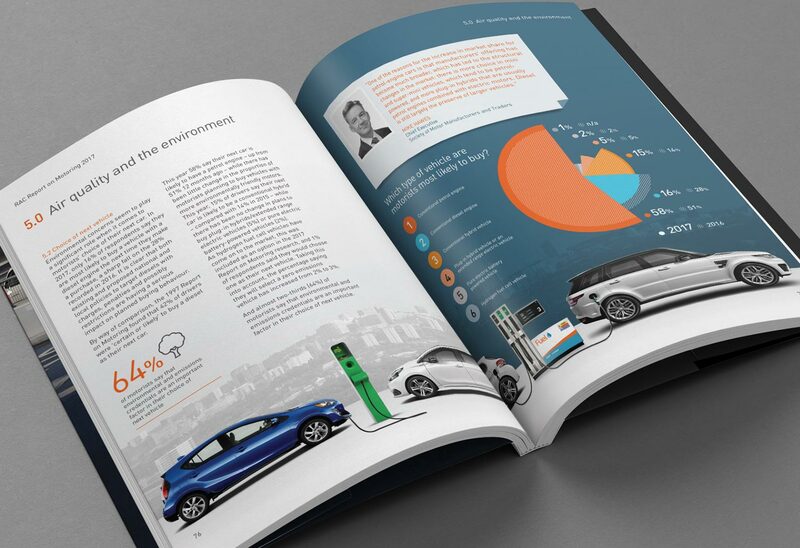 The Report showcases the results of an extensive research survey into the views and attitudes of British motorists with expert comment from industry experts. This year we’ve introduced new styles of infographics to help share the important insights. Discover the top issues on motorists’ minds, the dangers on our roads, causes of congestion and changing choice of cars. The new infographics combine photographic elements with bespoke icons and a range of graph formats to bring the data to life throughout the Report. 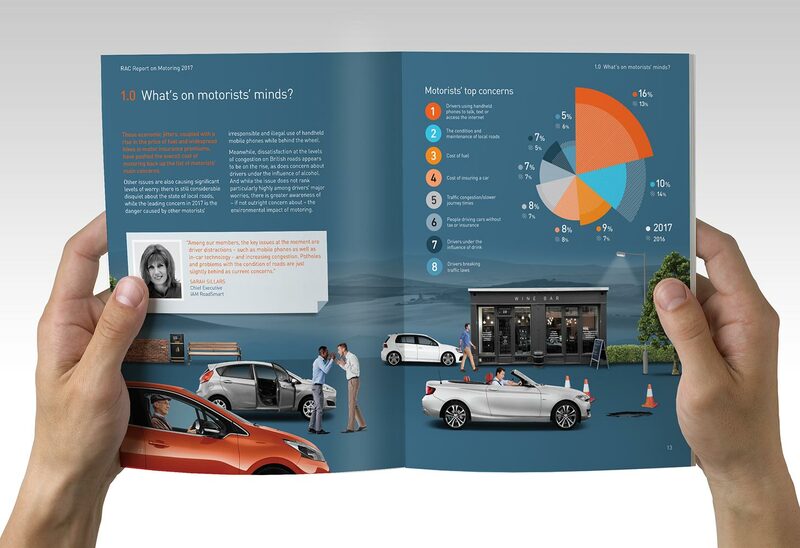 The 96 page Report is the RAC’s industry-leading survey of over 1,700 British motorists. Celebrating 120 years, the Report also contains a timeline of important milestones in the brand’s history. 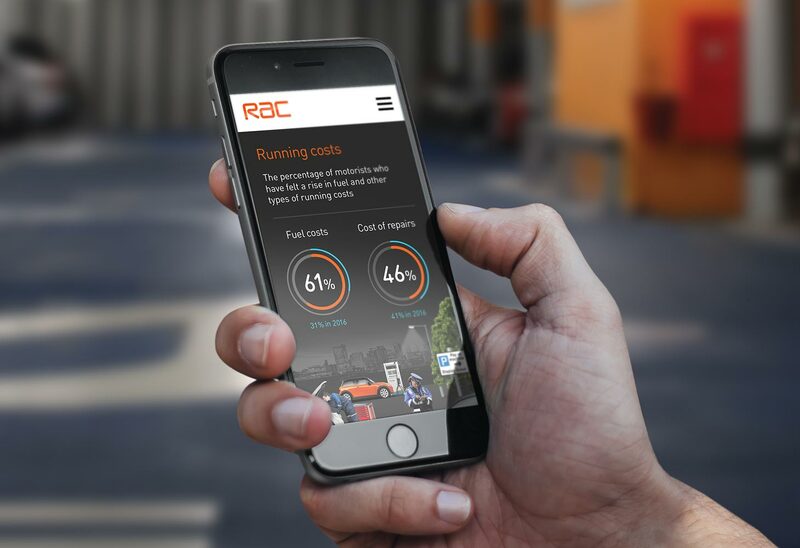 Launched recently, concerns about mobile phone usage by motorists have been generating headlines for the RAC. On the RAC website, there’s an interactive UK map and the full set of Reports we’ve been producing for the iconic British motoring brand since 2009.